The VERI reactor series is a glass-lined steel reactor body with a solid glass cover. The combination glass/glass-lined design was developed from the pharmaceutical industry's demand for maximum purity and optimized heat and mass transfer combined with suitability for GMP use. Learn more about the internal components of combination glass/glass-lined steel reactors and the advantages of this construction. 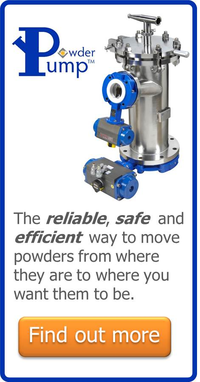 The VERI reactor is specially designed for the two process stages of reaction and distillation. 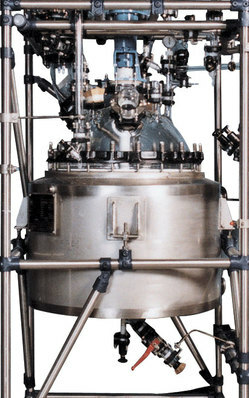 The reaction stage operates under total reflux, allowing the solvent to be distilled off as effectively as possible in the concentration phase. The materials of construction used are borosilicate glass 3.3, 3009 glass-lined steel and PTFE. The VERI reactor is designed for a compact layout with reduced headroom requirements, suiting the limited availability of space in the majority of laboratories. The modular construction can be expanded to handle various special functions. The combined glass/glass-lined construction offers the strength of glass-lined steel with the visibility benefit of borosilicate glass.